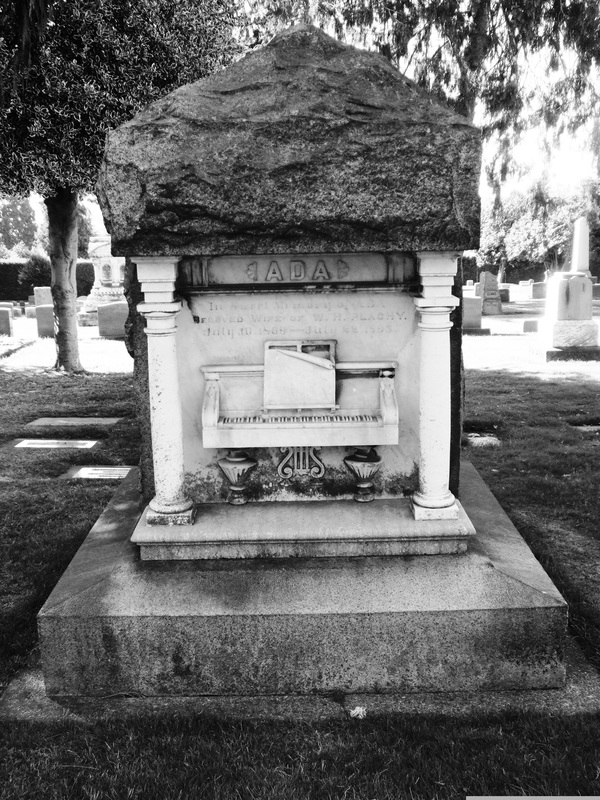 “…In sweet memory of Ada, beloved wife of W. H. Plachy. Ada was 26 years old when she died. Her husband was a civil engineer and the first water pipeline surveyor for the Seattle area. Note: the piano shown is listed as a forte piano that retains some of the earlier harpischord sounds. This instrument was the forerunner of today’s piano.